You can buy gluten free macaroni and cheese but oh boy is it expensive! This version is much cheaper and my boys and I think it’s much tastier. We do indulge in gluten free pasta on occasion. Rice is fairly low in phytic acid so a little every now and then is ok. Prepare noodles per directions on the package. Melt butter in a small saucepan. When foamy, stir in flour and salt. Keep stirring until it begins to get nice and bubbly. Whisk in milk or broth, stir well so there are no lumps. Add shredded cheese and stir until melted. Pour over drained and rinsed noodles. 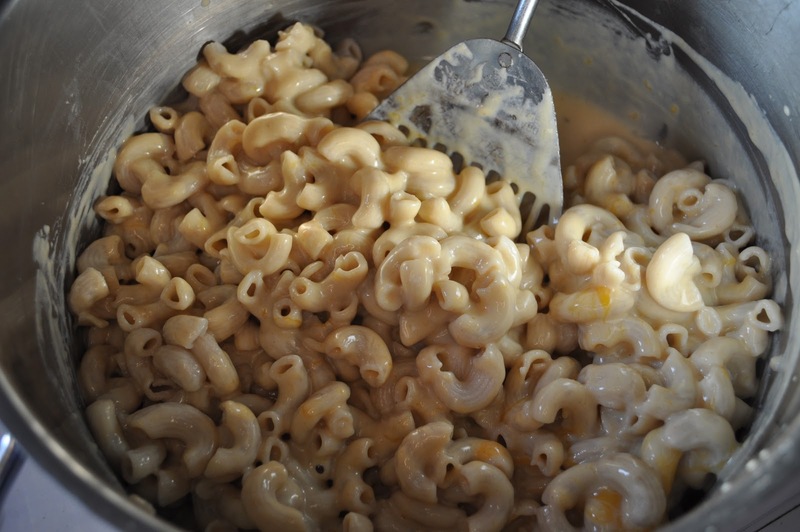 You can serve it as is or pour into a baking dish and add extra shredded cheese on top. Bake at 350F until cheese is melted and bubbly. Add about 1/2-1 tsp chili powder. Add 1/4 cup yogurt for a bit of tang. Add 1/4 tsp red chili flakes for spice.